The ‘Tastiest’ BBQ is by Phil’s BBQ.. – Agnes' Sanctuary. A journey to inspire. The ‘Tastiest’ BBQ is by Phil’s BBQ.. The place is a bit dim as you walk in, especially from a broad daylight. At first, you will have to go in front of the counter where there will be a hostess asking about whether you are dining in or take-out. Each will be in a separate line. You will then order at the counter, and go to whichever table you want, and the device they gave you will ring and vibrate when your order is ready for pickup at the counter. So I thought it was a bit more of a semi-restaurant. 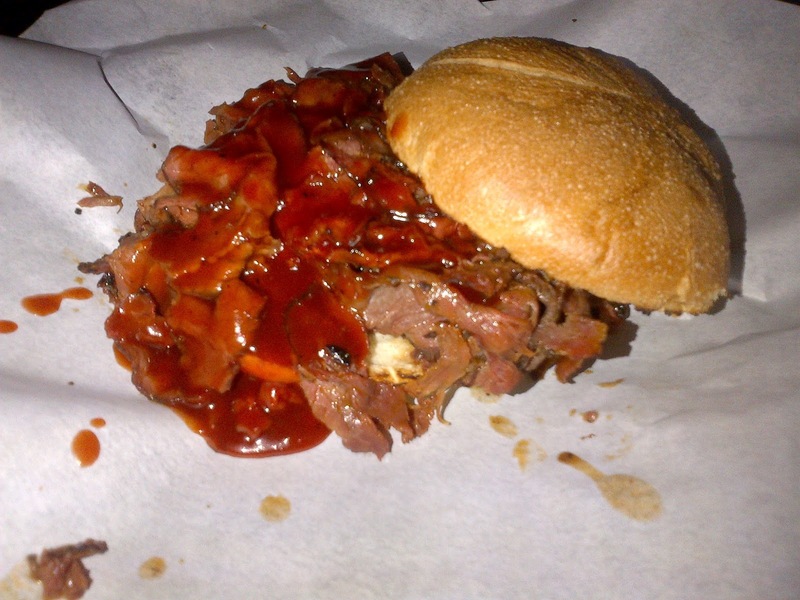 Moving to the second dish, El Toro ($6.95) is a char-grilled deli sliced tri-tip topped with the signature BBQ sauce. From what I saw on Food Network, they marinate the tri-tip (is it overnight? I forgot) with the BBQ sauce, and when it’s marinated enough they will cook it again withhh the BBQ sauce. Double attack, man… Anyway, that’s how they served it, basically only the tri-tip and the bun. The meat are so soft that it melts right away in my mouth, and the BBQ is kicking the flavor out. Next What to Love from Korea? Everything!